As you may have noticed, I'm just a little bit obsessed with teddy coats and jackets! I've always hated wearing coats and feeling stuffy/bulky, but this is a trend that's equal parts comfy and chic. 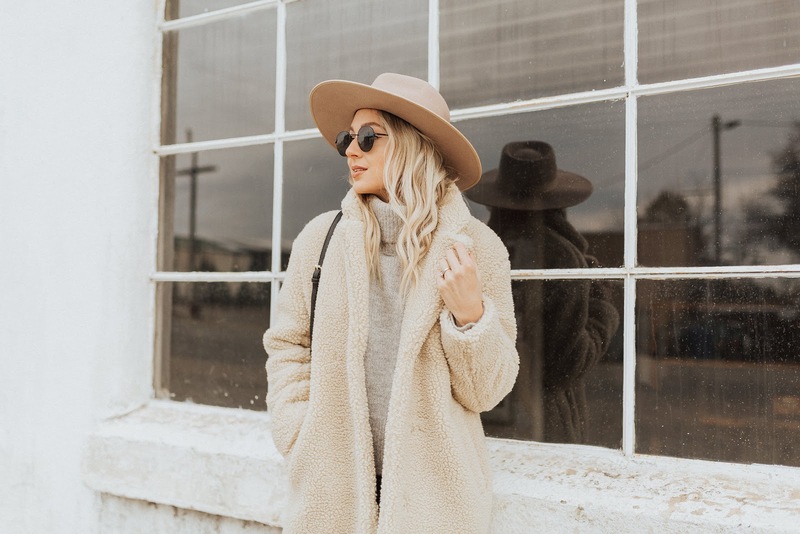 This is the coat I'm wearing in these pics (highly recommend grabbing it before it sells out again). 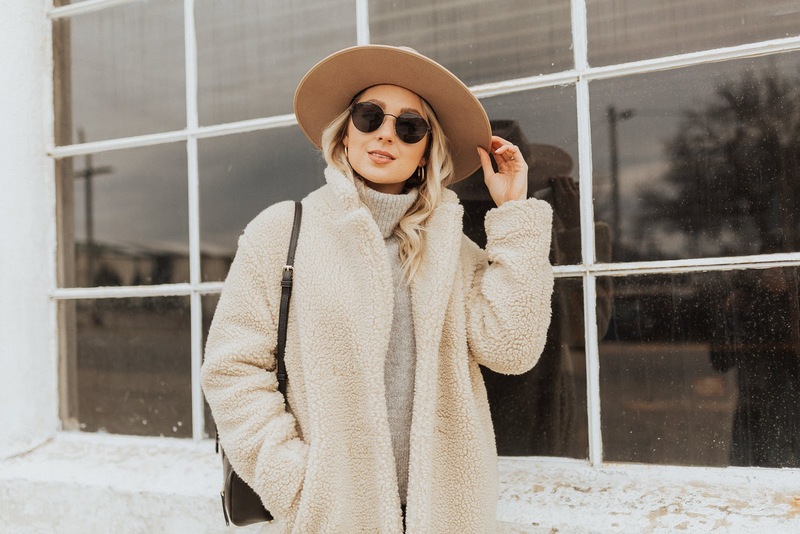 I also own this budget-friendly tan jacket, and just added this black teddy jacket to my collection (use code BRI20 for 20% off). Most of these are under $100 and quite a few are under $50! Winter has definitely arrived here, and while I'm pretty sad about that, cute new clothes do help to make it better! I try to venture into color more often these days, but I can't lie...I still love my neutral outfits like this one the most. New makeup and skincare help too, so be sure to enter this awesome giveaway! To make your holiday shopping a little bit easier, I've teamed up with a group of bloggers to give you a chance to win an $800 Sephora Gift Card!